There are so many environmental factors that can contribute to the development of cancer, and it seems like every day there’s something new that’s found to cause cancer. How can you keep up with the continuously growing list of things to avoid? It’s nearly impossible to cut out everything that has the potential to cause cancer, but fortunately, there are some precautions you can take to help reduce the risk. One simple step is tailoring your dietary habits. And, a little-known food compound called spermidine may be just what the doctor ordered. 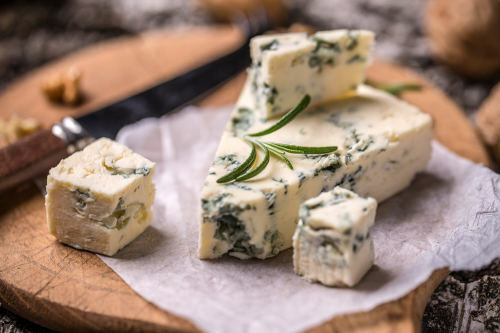 Obviously, a healthy diet can have many health benefits, but a recent study by the Texas A&M University has revealed that spermidine-rich foods could help prevent cancer. More specifically, they could help prevent liver fibrosis and hepatocellular carcinoma, which are the most common types of liver cancer. Researchers say that it could even prolong your lifespan. These results are early, but still promising. So, what is spermidine? Spermidine is a kind of compound known as a polyamine. It can be found in foods like aged cheeses, mushrooms, soy products, chickpeas, green peas, broccoli, cauliflower, corn, mango, pear, and even whole grains. How exactly does spermidine achieve its protective effects? As we age, our cells begin to accumulate toxic and damaged material. When we ingest spermidine, they “call in the cleaning crew,” so to speak, and help keep our cells healthy. It’s easy to add more spermidine to your diet. For example, for breakfast, have a soy milk-mango smoothie or a broccoli omelet with aged cheese. For lunch, have a green salad topped with tofu and corn, a chickpea salad with soy-ginger-sesame dressing, or some homemade mushroom soup with lentils. And for dinner, go for a well-rounded meal consisting of leafy greens, lean meat, mushrooms, green peas, steamed cauliflower, and a small portion of potatoes. While supplementing your diet with spermidine-rich foods isn’t a foolproof solution to preventing liver cancer, it’s a small step you can take to help reduce your risk. This slight dietary change can help decrease your chances of developing liver cancer and even work to increase your lifespan. Yue, F., et al., “Spermidine Rich Foods May Prevent Liver Cancer, Extend Lifespan,” Science News, April 21, 2017; https://www.sciencedaily.com/releases/2017/04/170421091816.htm, last accessed April 25, 2017. Smiechowski, J., “Forget Fasting: These 14 Foods Turn Back Time,” Easy Healthy Options; http://easyhealthoptions.com/forget-fasting-14-foods-turn-back-time/, last accessed April 25, 2017.